Back in 2004 this was THE camera to get, I wanted one so bad & couldn't afford it, as it was like $1300. I did get a Nikon D50 kit for $500 the next year. Now to think that for $200 in 2017 I got a Nikon D3300 kit? I wish the price of gas, housing and medical care worked like that. I look at the 16x20s on my wall made with my 2004 D70, I'm amazed at how 6mp still looks so good. But then again, I have great 11x14s made with the Olympus C2100UZ and my Sony DSC-F717 that preceded it. I still own it, for the same reason as others. It marked my entry into serious digital photography, and when the company I was working for in 2005 went bust, I used it to shoot weddings and family portraits to keep income coming in till I snagged a new job. I had a more personal reason for selecting the Nikon D70 over the Canon: I owned a LOT of FD glass, and I'd inherited some nice Ai and AiS lenses from my father. At a wedding, I saw a guest shooting with a D70 and a 35mm f2 MF lens on a D70. When he explained that - unlike Canon - Nikon didn't orphanize its MF customers when it went AF, the choice was easy. Great article. this was my first DSLR. I still have and use it as a second camera and my boys use it with the original battery which still lasts for weeks! I bought it on size and fit as I was moving from OM 2 film cameras. The Canon 300D was too small and fidly. I stepped up to full frame with a Sony Alpha 7, another classic (in the making), rather than a D800 as I thought the D800 to large and heavy. I still own a D70 and have no intention of ever selling. The sharpness is incredible even today. While I've upgraded to D7000 for many reasons, including low light, if I have good lighting, such as outdoors, the D70 will always come through as grand as any crop sensor to date! Recently the shutter went out on my beloved D7000, trying to decide between D7200/D500. Dusted off my D70s to use until I decide and was amazed at the color and the quality. Forgotten about things like tone curves... Reala (?) etc. Black and White conversion are hands down much better than any other camera I have owned. I will soon replace my D7000, but after using my D70s for a couple of months, I am wondering why I kept wasting time and money on my other mirrorless cameras. I have a d70 and love it, but I need a camera with higher megapixels (14 mp or higher), could anyone tell me which of the newer Nikons would be the modern equivalent of a d70. I should think the D7XXX series. Same build quality. I've had the D70 too. Wondeful camera, but rather out matched by modern types of camera. I use a D800 now. I have Nikon D3200 and I use it for landscape photography and I can get great shot comparable with today 10,000 Dollar expensive cameras. if you want just more megapixel and don't shoot action / birds D3200 is best you can get. if you wanna action too than maybe D5300 also can almost give what you want. I own a D70 and D7000. 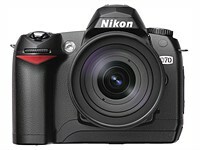 You can geta D7000 for a great used price. Better ISO, large 3" rear LCD, more autofocus points, and two SD card slots. No learning curve if coming from the D70 and all lenses compatible. I have no need to upgrade from my D7000 even today. I would choose the D7200 and never look back. I have a D70, D70s, D7000, D7200, F5 , 2 N90S. All are in use. If you dont want to participate in Megapixel race created by Camera Makers & need a camera for photography not for "Bells & whistles" which you are not going to use anyway then this is the camera for you.Nowadays we are paying for features which stay unused & has no direct impact on improving our skills to create a great shot because great shot come from great imaginations & experience not cameras. 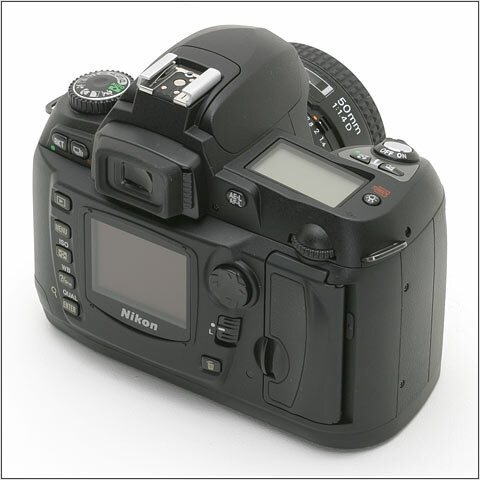 I think thant as of January 2005 it's one of the most popular cameras of all time and usually in short supply. Since stores can sell as many of them as Nikon can ship no one has any reason to have to discount. I've never seen a discount from anyone, and all the discounts I've seen are from scam operations who never really have any to ship. I just got on a waiting list and my camera appeared. Be very wary of fraud over the internet. Adorama and B&H and Amazon are fine, but be careful of the thousands of others offering these. You should make a topic in the forums, but if the camera is functioning correctly, then the memory card is simply full, and you need to make space by moving the pictures to computer.